Recently, over 1,300 scientists converged in Boston to network, learn, and collaborate. They were there to attend the Intelligent Systems for Molecular Biology (ISMB) conference, July 11-15th, which is hosted by the International Society for Computational Biology (ISCB). ISMB has become the world’s largest bioinformatics/computational biology conference, attracting life scientists from around the world who are dedicated to the advancement of biological discovery through computation. The conference agenda was filled with talks covering sequence analysis, comparative genomics, gene regulation and transcriptomics, systems biology, databases and data integration, text mining and information extraction, and human health. The conference started by honoring Gene Myers with the 2014 ISCB Accomplishment by a Senior Scientist Award which recognizes luminaries in the fields of computational biology and bioinformatics. Myers is known for developing the BLAST algorithm and his work on using shotgun sequencing at Celera Genomics. In his talk titled “DNA Assembly: Past, Present, and Future” he spoke about the whole genome assembly approach he and his team used at Celera. He also cited how demand for lower cost sequencing has hampered progress on the production of high-quality de novo genome reconstructions. He expressed his renewed interest in assembly using long-read sequencers. Dana Pe’er, Associate Professor, in the Department of Biological Sciences at Columbia University spoke on “A Multidimensional Single Cell Approach to Understand Cellular Behavior.” One of her primary interests is the study of biological networks in single cells using mass cytometry which she considers a major game changer to the understanding of cellular heterogeneity. As part of her studies, she hopes “to reframe development not as a set of discrete cell types, but rather as a continuum, a dynamic process in which one can place each individual cell along a developmental trajectory that represents not only cell types, but their many intermediates.” She showed how this approach could differentiate cancer cell populations from healthy populations in novel and robust ways, and she plans to apply her studies to cancer and the improvement of personalized cancer therapy. Continuing to show how computational approaches have advanced biological discovery was Russ Altman, Professor of Bioengineering, Genetics, and Medicine, and Computer Science at Stanford University. In his talk, titled “Informatics for Understanding Drug Response at All Scales,” he discussed his work on studying drug responses at multiple scales, including molecular, organism, and population responses. An understanding of drug action at multiple levels is necessary, he said, to understand the optimal use of existing drugs and identify new opportunities for therapeutics. He concluded that informatics can be good for inferring and ranking side effects, characterizing gene-drug interactions through text mining, predicting gene expression based on a drug’s chemical structure, and using 3D protein structures to predict fragment binding. The hope is that all this information will lead to a better understanding of personalized medicine, drug interactions, and drug repurposing. ISMB was a great reminder of how far we’ve come in the application of computational approaches to biological discovery. 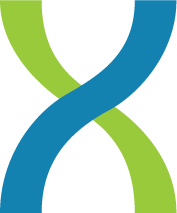 At DNAnexus, we continue to work closely with the scientific community in bringing together the power of cloud computing with the science of genomics to further advance the promise of more personalized approaches to healthcare. This week we attended the first-ever Techonomy Bio conference, a half-day series of discussions on the convergence of technology and biology, which was fittingly held in the Computer History Museum in Silicon Valley. The meeting, hosted by Techonomy, included more than 20 speakers and panelists made up of scientists, activists, venture capitalists, and entrepreneurs engaged in provocative conversations about biotech innovation. Among the group was Stewart Brand of the Long Now Foundation, Drew Endy of Stanford University, Jim Flatt of Synthetic Genomics, Andrew Hessel of Autodesk, Floyd Romesberg of Scripps, Beth Seidenberg of Kleiner Perkins Caufield & Byers and others. Andrew Hessel kicked things off with a presentation titled “Better, Faster, Cheaper” that highlighted the tremendous progress that is being made in the fight against cancer. He cited the growing role of low-cost, high-throughput DNA sequencing and noted that it will fundamentally change how drugs are developed and administered in more precise and personalized treatment. He put the impact of sequencing on par with penicillin and its contributions to microbiology. In addition to the pace of change in the life sciences, another hot topic of discussion was the need for open-source access to biological discoveries. Drew Endy was a vocal advocate as was UC Santa Cruz’s David Haussler, who, as he reminded us, posted the first publicly available computational assembly of the human genome sequence on the Internet on July 7, 2000. Beth Seidenberg of Kleiner Perkins noted the role of non-traditional entrepreneurs in generating some of the best ideas and the importance of technology in boosting progress in biotech and healthcare. Big advances will come, she said, when we “digitize healthcare in the same way we digitize everything else in our lives”. The event closed with a panel discussion on the application of bio-discoveries that included Stewart Brand, Jim Flatt, Dassault’s Steve Levine, and Floyd Romesberg. Romesberg discussed his team’s work on fabricating synthetic organisms and their use in discovering new drugs. Beyond medicine and healthcare, Jim Flatt spoke about pioneering the use of synthetic biology technologies for use in agriculture and the sustainable production of fuels. It was a great event and we too are very excited to be working at the intersection of technology and biology. The DNAnexus platform is bringing together the power of cloud computing with the science of genomics to enable innovation in the drug discovery process, and in the delivery of more personalized healthcare. We are already looking forward to the second annual Techonomy Bio conference. This week our friends and collaborators at Baylor College of Medicine’s Human Genome Sequencing Center were recognized with a Bio-IT World Best Practices Award for their work on the Cohorts for Heart and Aging Research in Genomic Epidemiology (CHARGE) Consortium. It’s well-deserved praise for an important translational research project, and DNAnexus is honored to have been part of the team. This year, grand prize winners were named in five life sciences categories highlighting best practices in clinical & health, IT infrastructure & HPC, research & drug discovery, informatics, and knowledge management. The ceremony took place at the World Trade Center in Boston, where awards were presented by Bio-IT World Editor Allison Proffitt and William Van Etten, a founding member of BioTeam. This project represented the largest genomic analysis ever performed in the cloud at the time it was completed and was an exciting validation of the scale at which the DNAnexus platform can perform. Over the course of a four-week period, approximately 3.3 million core-hours of DNAnexus computational time were used to analyze more than 14,000 genomes or exomes, generating 430TB of results and nearly 1PB of data that we are still hosting for further analysis. We look forward to working on more massive projects and congratulate all the winners of this year’s Best Practice Awards. They are an inspiration as we drive closer to a fully realized vision of precision medicine. For more information on the CHARGE project, please check out this use case.